NetFlix has already found huge success with their original programming like House Of Cards and Orange Is The New Black, but with Marvel’s material being more accessible to the family audience, the question is if they are willing to that philosophy to make darker and more mature programming. Originally, The Defenders were a superhero team made up of supernatural and interstellar beings like Namor, Silver Surfer, the Hulk, and Dr. Strange. While the members had their own agendas and did not fight as a “team,” the group usually dealt with mystic and supernatural events. 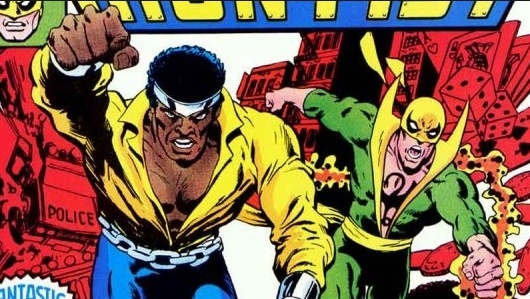 But DareDevil and Luke Cage were honorary members of The Defenders at one point in time. Now looking at what Marvel is doing for this iteration, it is obvious that the group will not be dealing with mystic or supernatural occurrences. But since these heroes are residents of New York, I can see how they would deal with crime in their own special way, all of which would lead to some sort of crime lord hiring criminals, assassins, and killers to stop them. You can find the official announcement on the press release posted over at Marvel.